College students pick their majors for any number of reasons - interest in a particular field of study, ability to get a job post-graduation, amount of education or training needed, and more. Another factor students often consider is how much they might earn once they enter the workforce. 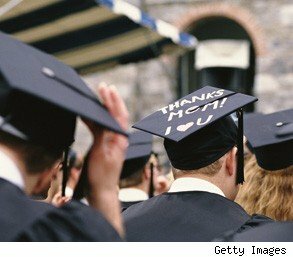 While it's hard to imagine that any student would actively seek a low-paying major, some students may weigh salary heavier than others when making a decision on a degree.According to the most recent salary survey by the National Association of Colleges and Employers, the average starting salary for a Class of 2012 graduate is $44,442. To break it down further, here's a list of the highest-paying bachelor's degrees within common academic disciplines. Also included is the percent change in starting salaries from the Class of 2011 to the Class of 2012, along with examples of occupations graduates within each major might pursue.